Voted the Best Golf Course in Howard County for 2017 by Howard Magazine readers, this pristine semi-private club is carved through and around the Maryland timber. The par-72 course has been the host of several Champions Tour events over the year and plays just over 7,100 yards from the back tees and 5,400 from the front. Golfers will enjoy the lush green fairways and the natural features of the area that create an unparalleled golfing adventure. Everyone will love the beautiful clubhouse that features The Turn House Kitchen and Drink, a new restaurant and bar with breathtaking views of the golf course and an outdoor dining and entertainment area with a fire pit. 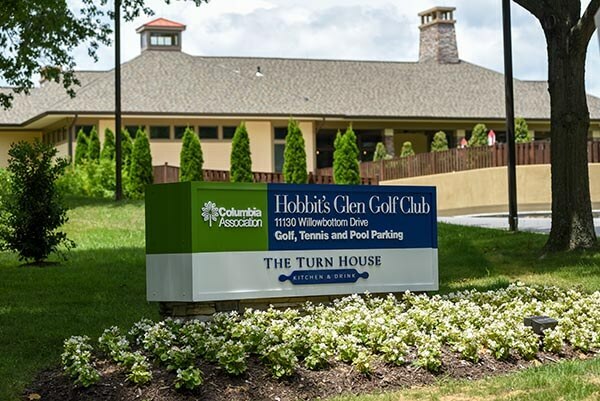 Hobbit’s Glen also offers private and group lessons for both members and non-members; a driving range open to the public; and a pro shop stocked with the latest apparel and gear. 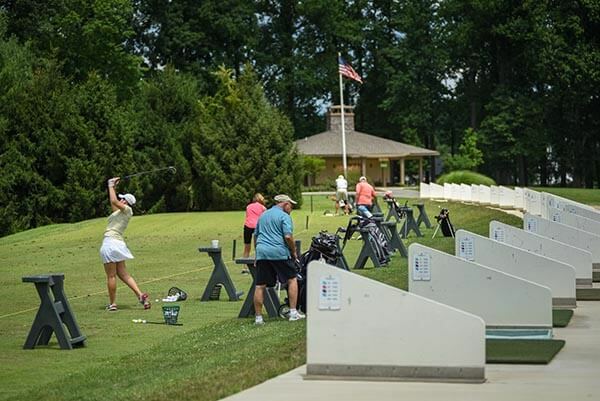 Looking to hold an outing, tournament or special event? Hobbit’s Glen offers customized packages to fit your needs and budget for any event, whether it’s for 12 or 140 people! In addition, the clubhouse features a conference room that can accommodate up to 50 people, with presentation aides, free Wi-Fi, a Samsung Smart TV for videos/presentations, and catering options. It’s the perfect place to hold your next business meeting and then enjoy a round of golf! For more information on outings or to book yours today, please call 410-730-5980 or email Lorraine.Seelaus@ColumbiaAssociation.org. Want to become a member? We offer several options that also include access to Fairway Hills Golf Club! For more information, visit the Membership Options and Pricing Page or call 410-730-5980. To view our current monthly membership and daily play specials, please click here.